During a recent visit to Disney’s Days of Christmas at Disney Springs Marketplace, I was surprised by a special holiday delivery from the Disney Delivery Guy. The new holiday products shown in the video are starting to arrive in select merchandise locations at Disneyland and Walt Disney World Resorts. I love the Woodland Winter artwork found on the home décor items. 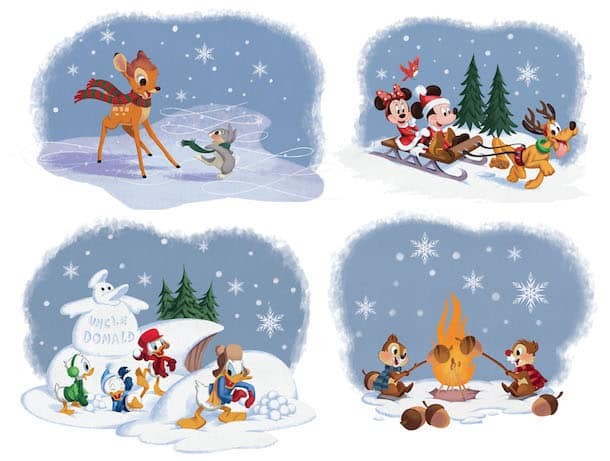 This artwork was created by several Disney Design Group artists including Fabiola Garza Villalobos, Caley Hicks, and Tim Whalen. The retro-inspired artwork was designed to complement the Holidays for Your Home collection we first introduced in fall 2014. The Raglan I’m wearing in the video will be available on the Disney Parks online store from November 7-13, 2016. The shirt was designed by Disney Design Group artist Richard Terpstra. We will have both a Disneyland Resort and a Walt Disney World Resort version available. 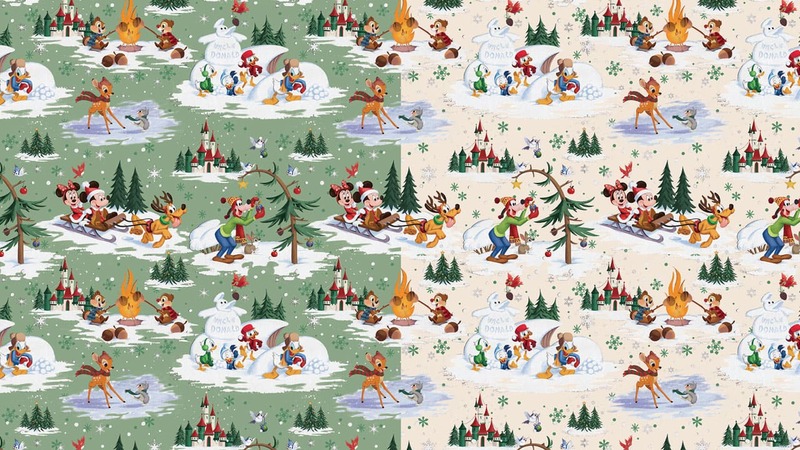 During this limited release offer, look for another t-shirt designed by Richard with artwork from the 1952 animated short, “Pluto’s Christmas Tree.” To order these shirts, please visit DisneyStore.com/ParkEvents (http://www.DisneyStore.com/ParkEvents) starting November 7. Please allow 3-5 weeks for shipping. You may also find select holiday merchandise via the Shop Disney Park app (to download, please visit this page). Select items may also be found by visiting DisneyStore.com/ParksHoliday. Any news yet on if there will be another release of the Christmas Dooney purses? I’m hoping there will be since I missed out on the initial release. I NEED that ladies holiday sweater tee in the video! I don’t see it on the shopping app. Will it arrive soon? 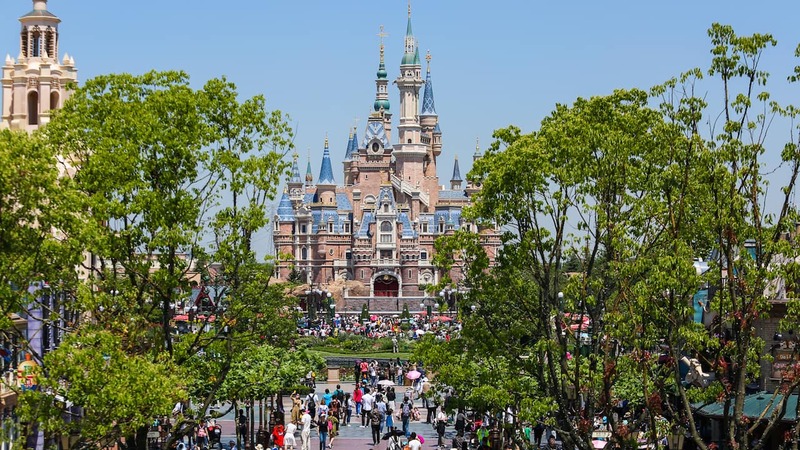 How about at the parks or resorts? Thanks! 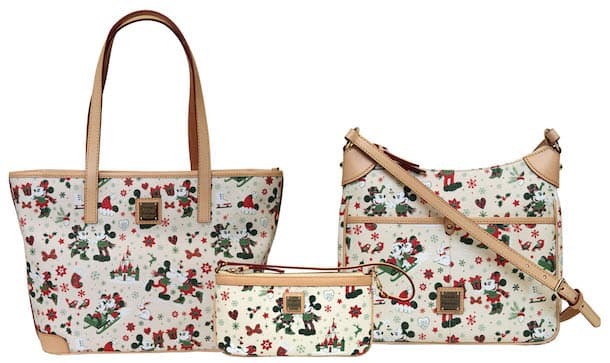 Can you tell us if the Christmas Dooney bag will be released again please. I sure hope so. LOVE IT!!! My Christmas Dooney arrived yesterday and it’s even cuter in person. The inside lining is PLAID! Thanks so much for finally making a holiday pattern. I’m already looking forward to next year’s Christmas Dooney. ❤️? Any chance the purses will ever come back in stock? Or are they gone for good? The christmas dooney bags sold out on the app in a matter of what appeared to be hours! Any chance a second batch will be made available on the app or on the online store? I tried to order the Christmas Dooney bag at 9:00am on Friday and missed it. Is there any other way to buy one or will there be more of them. I sure hope so, very disappointed I missed it. @Charles- the bags are sold out on app. They removed the pics. I was lucky and woke up at 3am and checked app and was able to get one. Cannot find the holiday bags on the app. What am I doing wrong? Went through all the Dooney and Bourke bags in the site, and holiday bags are not shown. Really bummed that you can only purchase the Christmas Dooney two ways. I called merchandising on the hopes I could get through them and I can’t. I don’t know how to use apps or even download and I could ask friends but I would get a lecture about spending that much money on a purse! Is there an update on when the bags will be available on the app? If not, is there a time when new items are usually available on the app? Why don’t I have a private jet to take me to Disney on November 11? I want that Christmas Disney Dooney and I don’t have a phone that I can get a Disney app for. Will we be able to call Disney merchandising and order them? I am thrilled that there is a Christmas Dooney and Bourke available this year. I’ve wanted one for years. The pattern is beautiful. Could you please tell us which stores at the Disneyland Resort will carry the bags on release day? We don’t know which store to go to. @Lori – Look for these bags at Disney Clothiers in Disneyland park; World of Disney in Downtown Disney District; and Elias & Co. in Disney California Adventure park. Thanks for the info! Can you tell us which stores at Disneyland will have the Dooneys? @Julia – Please look for these handbags at the following Disneyland Resort locations: World of Disney in Downtown Disney District; Elias & Co. in Disney California Adventure park; and Disney Clothiers in Disneyland park. YES!!!!! A Christmas Disney Dooney! So excited! Been waiting years for this. THANKS!! I am in Canada and I would like to order the Dooney and Burke purse. Will the Disney store app work? Also what time on the 11th will they launch? Thank you in advance for your help and have a magical day. @Jenny – Unfortunately, the Shop Disney Parks app is currently not available in Canada. I know items will be added to the Shop Disney Parks app at some point on November 11 but I do not have a confirmed time. Such cute merchandise, but I beg of you, take a look at the body size of many of your loyal park guests; we are not all size small! My son loves Disney and wears a Disney t-shirt every day. However, he needs a 4X, which limits what we can buy. Please consider offering the limited edition shirts in larger sizes, even if you have to charge more for them. @Sandra – Thank you for your feedback. I’ve shared it with the softlines team who develops apparel for Disney Parks. Was so excited to have met “The Delivery Guy” while at the MK for the 45th Anniversary! I was nervous to go up to say hi (because he was working) but he couldn’t have been nicer! Said I was the first ever person to have recognized him! Got my picture with him as well! So happy to see he and Steven back at it sharing all the fun products Disney has to offer! Love the t shirts and socks!! @Alison – I’m delighted to hear that you saw him. I’ve shared your comment with Rob. At Disneyland will the Holiday Dooney be sold inside Disneyland, DCA and Vault 28? No sweater tee for men? Or just not in your delivery box? @Jayson – Keep watching DisneyParksBlog.com for another story about holiday fashion. I saw two different graphic tees inspired by holiday sweaters. 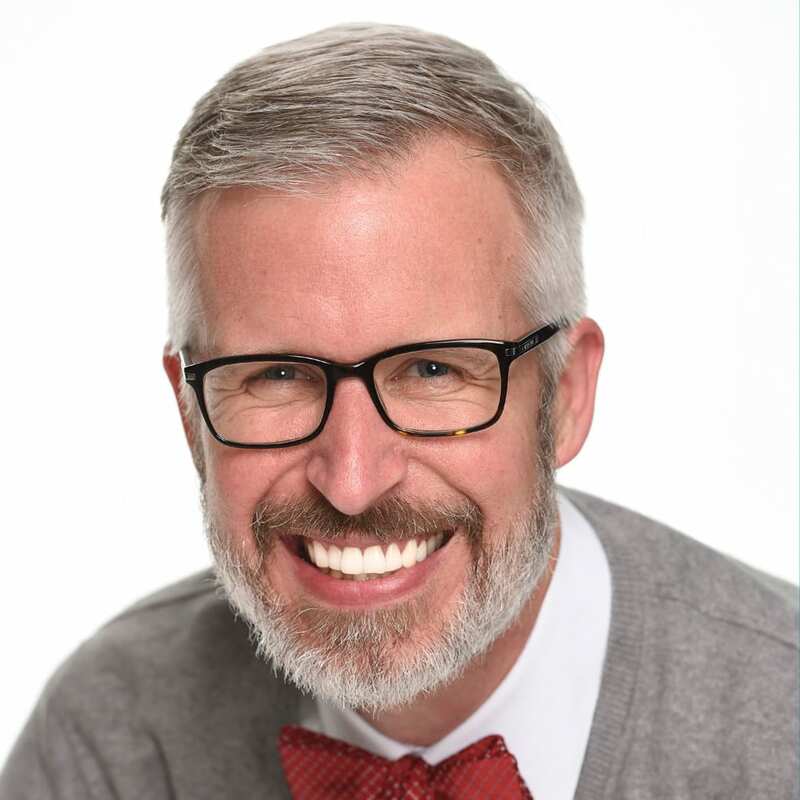 Any time that Richard Terpstra has a new creation… there should be some kind of a special alert! Those holiday shirts are fantastic. Can’t wait. Here is my question; is there a way to find out when Richard Terpstra releases something new? Hi, can you give us the prices of the Dooneys please!! I just bought a Beauty and the Beast, but am in Love with this pattern too!! Please please PLEASE bring back Hidden Mickey Christmas stockings! The retro ones you had a few years back were adorable! Will the holiday Dooney be limited quantities? Or will there be plenty like other releases like It’s a Small World and Beauty and the Beast? I’m hoping there will be bags through out the holiday season not just sold out the first weeks. @Janell – There will be limited quantities available of the holiday bags. We will release them at both Disneyland and Walt Disney World Resorts. You may also find a limited quantity available on the Shop Disney Parks app that day. To download the free app, please visit http://www.DisneyWorld.com/Shop. Will the raglans be available in parks? I’ll be in Disneyland on the 18th of November and so ordering off the website for my trip won’t get it here in time. Also, will there be other holiday shirts? @Sabrina – At this time, the only location at Walt Disney World Resort that will carry the bags will be Cherry Tree Lane inside Marketplace Co-Op at Disney Springs Marketplace. I hope you have a nice visit.